Mostafa Hashemitaba was minister of heavy industries from 1980-81 and a vice president from 1994 to 2001 under Presidents Akbar Hashemi Rafsanjani and President Mohammad Khatami. He also served as president of the National Olympic Committee from 1986 to 1988 and from 1996 to 2004. The reformist ran a failed campaign for president in 2001. He has said Rouhani's reelection is in Iran's best interest. **Update: On May 17, Hashemitaba urged his supporters to to vote for Rouhani. Mostafa Mir-Salim has served as a member of the Expediency Council, a powerful body charged with arbitrating disputes between parliament and the Guardian Council, since 1997. He served as national police chief and deputy interior minister following the 1979 revolution. Mir-Salim then worked as an adviser to President Ali Khamenei from 1981 to 1989 and to President Rafsanjani from 1989 to 1993. He served as minister of culture and Islamic guidance under Rafsanjani from 1994 to 1997. The conservative Islamic Coalition Party is backing him in the 2017 election. **Update: On May 17, Mir-Salim accompanied Raisi to a campaign rally, indicating his support for the cleric's campaign. Eshaq Jahangiri has served as first vice president under President Hassan Rouhani since 2013. He served two terms in parliament starting in 1984 and was governor of Isfahan from 1992 to 1997. Under former President Mohammad Khatami, Jahangiri served as minister of industries and mines from 1997 to 2005. The centrist is expected to defend Rouhani’s record during the campaign and eventually withdraw. **Update: On May 16, Jahangiri withdrew and called on voters to support Rouhani. President Hassan Rouhani is a mid-ranking moderate cleric elected in 2013. He served five terms in parliament from 1980 to 2000 and headed the Supreme National Security Council from 1989 to 2005, among other senior positions. He is currently a member of the Expediency Council and the Assembly of Experts. Ebrahim Raisi is a mid-ranking conservative cleric with close ties to Supreme Leader Ayatollah Ali Khamenei. He serves as Custodian of Astan Quds Razavi, an influential position responsible for overseeing and maintaining the shrine of Imam Reza in Mashhad, the most holy site in Iran for Shiite Muslims. Mohammad Bagher Qalibaf has served as mayor of Tehran since 2005. He moved up the ranks of the Revolutionary Guards during the Iran-Iraq War and became air force commander. He ran failed campaigns for president in 2005 and 2013. In the most recent election, Qalibaf was the leading conservative candidate but only received about 17 percent of the vote. Rouhani won with 51 percent. **Update: On May 15, Qalibaf dropped out of the race and threw his support to Raisi. Rouhani’s main challenger may be Ebrahim Raisi, a hardliner with ties to the supreme leader. Conservatives are seeking a comeback following a poor performance in the 2016 parliamentary elections. They have criticized Rouhani’s chief achievement, the nuclear deal, which has yet to yield significant benefits for average Iranians after more than a year of implementation. In a surprise move, former President Mahmoud Ahmadinejad (2005-2013), registered to run—despite a previous warning from the supreme leader. "He (Ahmadinejad) came to me and I told him not to stand as I think it is not in his interest and that of the country," Khamenei said in September 2016. After registering his candidacy, Ahmadinejad told reporters it had been “just advice” and that he only registered to support his former deputy, Hamid Baghaei. But the Guardian Council did not approve either of them. Although Iran’s last four presidents all served two consecutive terms, Rouhani’s victory is not assured. 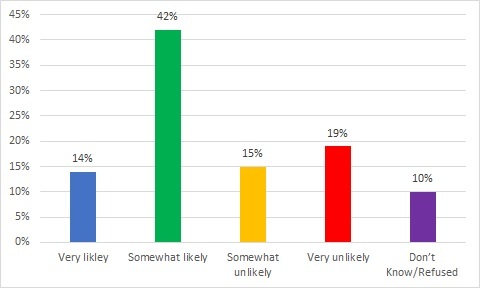 An April 2017 study by IranPoll.com found that a majority of Iranians thought Rouhani would not be reelected. More respondents had favorable views of Tehran mayor Mohammad Bagher Qalibaf than Rouhani, 67 percent compared to 62 percent, respectively. Nearly a third of respondents had a favorable view of Raisi, but nearly half had not heard of him. Rouhani needs to convince the electorate that the he can improve the economy and that the nuclear deal can still deliver benefits. In the same survey, 72 percent of Iranians said the economy had not improved because of the agreement. And new nearly two thirds said the economy was either somewhat or very bad. The following are profiles the most likely contenders in the election. Hassan Rouhani is a mid-ranking, moderate cleric and a long-time regime insider. He won a decisive victory in the 2013 presidential election with 51 percent of the vote. The runner-up, Tehran mayor Mohammad Bagher Qalibaf, received 17 percent of the vote. During his first term, Rouhani sought to gradually enact economic, government and social reforms. He has advocated for more open access to the internet and said the morality cannot be imposed by force. Rouhani wrote a doctoral thesis on the flexibility of Islamic law as a student at Glasgow Caledonian University in the late 1990s. On foreign policy, he succeeded in improving relations with the outside world, especially after Iran and six major world powers reached a final nuclear deal in 2015. Although his overall record is a mixed bag, Rouhani has gained the support of both reformers and centrists. Born in 1948 as Hassan Feridon, he began religious studies at a seminary in Semnan province in 1960. He changed his last name to Rouhani, or “spiritual,” after becoming a cleric. Rouhani was a follower of Ayatollah Ruhollah Khomeini and was repeatedly arrested in the 1960s and 1970s for criticism of the Shah’s government. In 1977, he left Iran and joined Khomeini in exile in France. Rouhani returned to Iran after the 1979 revolution and served five terms in parliament from 1980 to 2000. During the 1980-1988 war with Iraq, he also served in a variety of positions overseeing the military. Rouhani headed the Supreme National Security Council for 16 years from 1989 to 2005. During that period, he served as national security adviser to both President Akbar Hashemi Rafsanjani (1989-1997) and President Mohammad Khatami (1997-2005). He also served as deputy speaker of parliament from 1996 to 2000. Since 1997, Rouhani has been a member of the Expediency Council, the ultimate arbiter of disputes between parliament and the 12-man Guardian Council. Rouhani acted as lead nuclear negotiator in earlier rounds of diplomacy with European powers from 2003 to 2005. Hardliners charged that he was too accommodating in negotiations. He resigned after President Ahmadinejad took office in 2005 and focused on his work at the Center for Strategic Research, a think tank he had headed since 1992. In 2013, Rouhani ran for president on a platform that stressed prudence and moderation. He promised to work towards ending Iran’s nuclear standoff with the West, repair relations with the Sunni Gulf states, revive the economy, and lessen the interference of security agencies in citizens’ lives. He also called for “equal opportunities, equal pay and equal rights” for women. Rouhani defeated a field of mostly conservative candidates in a stunning victory. Rouhani’s chief achievement of his first term was the nuclear deal with six major world powers. After marathon negotiations, Iran agreed to significantly curtail its program and enact transparency measures in exchange for sanctions relief. The deal went into its implementation phase in January 2016, triggering the lifting of nuclear-related sanctions. A steady stream of European delegations has visited Iran since then to sign trade agreements and to deepen ties more broadly. On the economy, Rouhani acknowledged that Iran’s “coffers were empty” as he began to untangle the corruption and mismanagement from the Ahmadinejad era. He succeeded in slowing inflation and curbing government spending. By his second year in office, Iran’s economy began to register modest growth. The nuclear deal gave a small boost to the economy, but unemployment was at more than 12 percent as he faced reelection. Foreign investment has also been lackluster. Overall, social and press restrictions have loosened under Rouhani. He has continued to speak in favor of increased civil and individual rights. But he has fallen short of his campaign promises, in part because the president does not control the security services or judiciary. Dissidents and activists have been arrested. The two Green Movement leaders, Mehdi Karroubi and Mir Hossein Mousavi, remain under house arrest after six years. The judiciary has also shut down reformist publications. Former President Mohammad Khatami, the figurehead of the reformist movement, endorsed Rouhani in April 2017. He encouraged Iranians to not allow the country to turn away from the right path. “We don’t have room for error. I hope Mr. Rouhani is victorious,” he said. Ebrahim Raisi is a mid-ranking, conservative cleric and has close ties to the supreme leader. Raisi serves as Custodian of Astan Quds Razavi, an influential position responsible for overseeing and maintaining the shrine of Imam Reza in Mashhad, the most holy site in Iran for Shiite Muslims. The foundation he oversees controls billions of dollars in donations. A member of the Combatant Clergy Association, Raisi officially announced his candidacy on April 6 and registered on April 14. The Popular Front of Islamic Revolution Forces (JAMNA), a hardline or "principlist" political faction, is supporting Raisi and four other candidates against incumbent Hassan Rouhani. JAMNA plans to put its weight behind one candidate following the presidential debates. Raisi is perhaps the most prominent candidate besides Rouhani because he could unite the conservative vote, despite his lack of political experience. Born in 1960, Raisi attended the Qom seminary and went on to become a prosecutor in the early 1980s. As a seyyed, a descendent of the Prophet Mohammed, he has the privilege of wearing a black turban. Other Shiite clerics traditionally wear white. He was allegedly one of the four members of the so-called ‘death commission’ that oversaw the 1988 execution of thousands of political prisoners. He later held a variety of judicial positions including first deputy of the chief justice and attorney-general. Raisi's appointment to Astan Quds Razavi in 2016 indicated the support of the supreme leader. As a hojatoleslam, Raisi is only a mid-level cleric, but analysts see him as a possible successor to Khamenei. In May 2017, an influential clerical association based in Qom, Jame Modarresin, endorsed Raisi. Raisi has generally stayed out of politics. As deputy judiciary chief, Raisi supported the brutal crackdowns and showed little tolerance for public dissent following the disputed 2009 presidential election. On foreign affairs, he called for the Saudi royal family to be “brought to justice” following the 2015 stampede during the annual Hajj pilgrimage. Raisi said he wants to rectify “the wrong culture in the management of the country” in a statement posted on his website on April 9, 2017. “We can save the country from impending crises and restore peace of mind to the public by simply transforming the administration of the executive branch and recruit strong and trustworthy managers,” he added. Raisi has criticized Rouhani’s administration for not improving the livelihoods of average Iranians. “We must create an economy that supports production and respects the role of the people in the economy. An economy that won’t be damaged by those days when there are social and political shocks,” he told reporters after registering for the election. “The jobless rate should be reduced to 8 percent based on the sixth 5-Year Development Plan. We believe this [development] plan must become operational and it is absolutely possible to do that based on our agenda.”. "We don’t count on U.S. promises in our calculations." Mohamamd Bagher Qalibaf is a conservative candidate who has served as mayor of Tehran since 2006. He, along with Raisi, is backed by the Popular Front of Islamic Revolution Forces, also known as JAMNA. The group intends to endorse one candidate following the presidential debates. This will be Qalibaf’s third time running for president. Born in 1961 to a dried-fruit seller, Qalibaf joined the Revolutionary Guards during the 1979 revolution. He quickly moved up the ranks during and after the Iran-Iraq war, playing a large role in recapturing the city of Korramshahr. Trained as a pilot, he served as commander of the Revolutionary Guards air force from 1996 to 1999, chief of the Law Enforcement Force from 2000 to 2005. During that time, he reportedly received a doctorate in political geography. Qalibaf ran a failed campaign for president in 2005 but won the race for mayor of Tehran later that year, a position he has held since then. Qalibaf earned more votes than the other conservative candidates in the 2013 presidential race. Rouhani, however, won a decisive victory that did not require a run-off vote. During that campaign, an audio file surfaced in which Qalibaf took credit for playing a prominent role in the brutal crackdown of student protests in 1999. Qalibaf’s reputation was damaged by a corruption investigation in 2016. He also faced criticism in early 2017. On January 19, 2017, one of the country’s oldest high-rises, the Plasco building, was lit ablaze and collapsed. Many Iranians accused the mayor of mismanagement and called for his resignation. On April 15, he registered for the presidential race at the last minute after having previously said that he did not plan to run. “Mr. 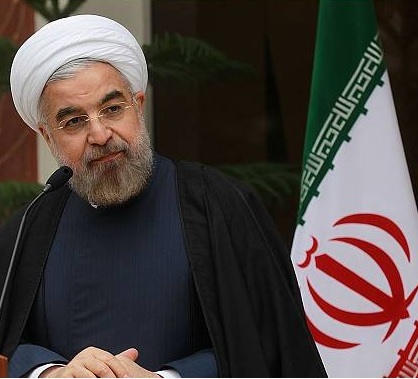 Rouhani speaks of improvement of the economic situation , but if he goes out his room and if he speaks with the people he can draw a more precise picture of the realities, and he will realize that only four percent of the society is satisfied with the status quo,” he told reporters. Qalibaf shares some views with Raisi. “More of this administration would mean the revolutionary ideals and the country's economy being put in harm's way. This is the goal which I share with Mr. Raeisi,” he said on April 23. "More of this administration would mean the revolutionary ideals and the country's economy being put in harm's way. This is the goal which I share with Mr. Raeisi,"
"At present, creating five million new jobs is a requirement." "Is there any room left for growth under these circumstances?"